Why Charter a Small Yacht? Greece is a unique travel destination because it is one of the few countries in Europe that it's visitors mainly visit it's islands. That being said, it's obvious that you must cross water to get to the islands. The have two choices: fly or take a boat. Flying is quick(but less so when you think that you have to get to and from the airports and arrive early to be sure you clear customs and have enough time to check in!). Traveling by boat is a slower and more leisurely way to visit the islands. Many people take the large cruise ships which is a way to see a large number of islands over a short period of time. This option is relatively expensive and has the added disadvantage in that you arrive with a wave of visitors(many hundreds to many thousands) and trudge through the town with the residents knowing that you are in the port for a few hours and then gone. This is a great way to "see" Greece, but offers very little opportunity to "experience" Greece. See off the Beaten Path places-On your yacht you will be able to slip in and out of towns as you please, stop along the way at anchorages and villages that are not easily accessible to the larger cruises ships(Remember the Cruise ships go to the larger/more well known destinations, not the quaint little villages!). 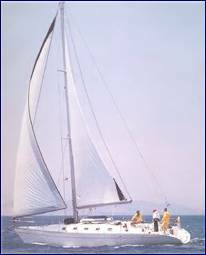 A "personal" guide- With a smaller yacht you will have direct access to the skipper or the crew who will know more about Greece than you'll be able to find out in a month of reading(they have practical knowledge/not book knowledge!). They can show you a Greece that you would have a hard time discovering on your own. No packing/unpacking, checking in and out of hotels, waiting for planes or ferries.- Do you know how much time you spend packing, unpacking and waiting for transportation when you visit 3-4 islands? On your own yacht there is no need to pack or unpack- just pull up the anchor and head to the next destination! Waterfront view-every time!- With your own yacht you will be at the dock and right on the water. No more trudging around trying to find a hotel with a good view of the water! In Greece the waterfront is usually the center of activity in the villages.